Joanna Cobb Biermann is assistant professor of musicology. 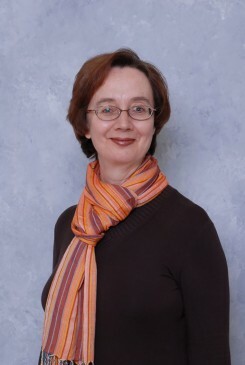 Before coming to The University of Alabama, Biermann worked as a scholar at the Beethoven Archive in Bonn, Germany (1998-2003), and taught at Indiana University (2003-2005). Her research interests include Beethoven, the early symphony, and music in Nazi Germany in its historical, political, and musical contexts. She has written a book, Die Sinfonien des Darmstädter Kapellmeisters Johann Samuel Endler 1694-1762, which was published by Schott (1996), and her edition of three symphonies by Endler, a thematic catalogue of his symphonies, and an historical/analytical essay appeared in the series, The Symphony 1720-1840, Vol. C II, edited by Barry Brook (1984). She has also published in the Beethoven Forum, and written articles for the music-historical lexica New Grove Dictionary of Music and Musicians and Die Musik in Geschichte und Gegenwart, as well as for numerous other European and American publications. Current projects include an edition of the small piano pieces of Beethoven for the New Collected Works Edition (Neue Gesamtausgabe) for the Beethoven Archive and Henle-Verlag, for which she has received a University of Alabama research grant, as well as three essays on the symphony in 18th century Germany for a book to be published by Indiana University Press, and an article on the operas of Werner Egk, composed during the Nazi period. Joanna Biermann studied at Barnard College (B.A. ), Columbia University (M.A.) and the University of Bonn, Germany (Ph.D.).